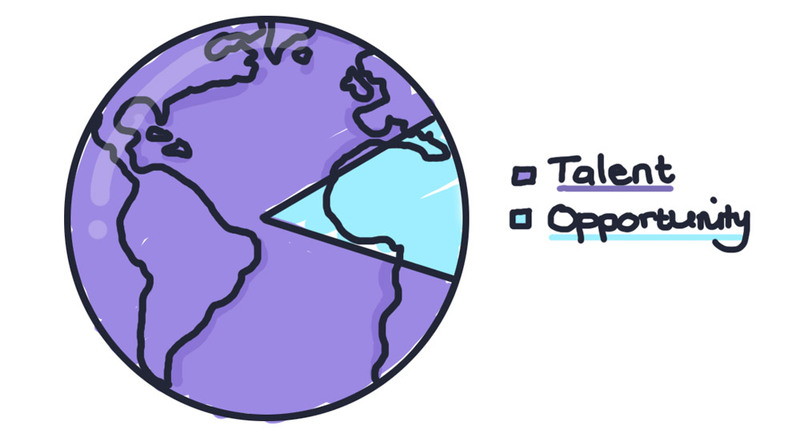 We founded OfferZen because we believe that talent is universally distributed, but opportunity is not. There is an incredible amount of human potential in the world. Most of that potential is not yet being fully realised and many talented people don’t have access to great jobs or learning opportunities. There is a gap between the potential and the lived reality, which we want to close. We spent a year in Silicon Valley, where we saw first-hand how software development is shaping the future. During this time we realised that software is a great way to level the playing field. It’s meritocratic and has the power to be the primary global economic driver for a long time to come - there is plenty of opportunity to reset inequalities and change how the world works! Software is the great equaliser. You don’t need to be a “somebody” to make an impact with software. Some of the most significant innovations and companies have been built by outsiders. That’s why our mission at OfferZen is to help people build awesome software. We launched OfferZen in late 2015 to help software developers find great jobs. We started with this because we believe that finding someone a great job is one of the best ways to positively impact their career, and help them build awesome software. We also hoped that we could build up enough momentum to sustainably fund the rest of the plan. At launch we were laser focused - working only with software developers in the Cape Town area. That proved to be super useful because it gave us a chance to figure out our product with a small audience first. Since then we have expanded and are now helping all software makers (developers, designers, product owners, data scientists, etc. ), across South Africa, to find great jobs. In 2017, we launched Root - with the goal of opening up the world of financial services for software developers. Fintech provides huge opportunities, especially in emerging markets. But entering the space is incredibly hard due to regulations and massive upfront effort and costs. With Root we set out to remove these barriers and enable the developer community to build awesome fintech software. In 2018, Root partnered with MMI and we expanded the platform to include an insurance API, which makes it super easy for developers to build insurance apps. Developers at startups and larger companies are already using these APIs to power new products. Our next big challenge is to help developers learn faster. We felt that OfferZen could (and should) do something to help solve these problems. We launched an internal project, called Make, to tackle this problem. Over the last year we’ve run a multitude of experiments, and iterated through dozens of ideas, in search of a better model for developers to learn. We also talked to experts across a broad variety of fields: from Montessori pre-school teachers to learning experts at MIT. The Make team found that the best framework for learning new technologies is not an online course or lecture, but actually getting your hands dirty. Another counterintuitive thing we learnt is that a well-structured and low-pressure experience beats the competitive atmosphere found at hackathons. 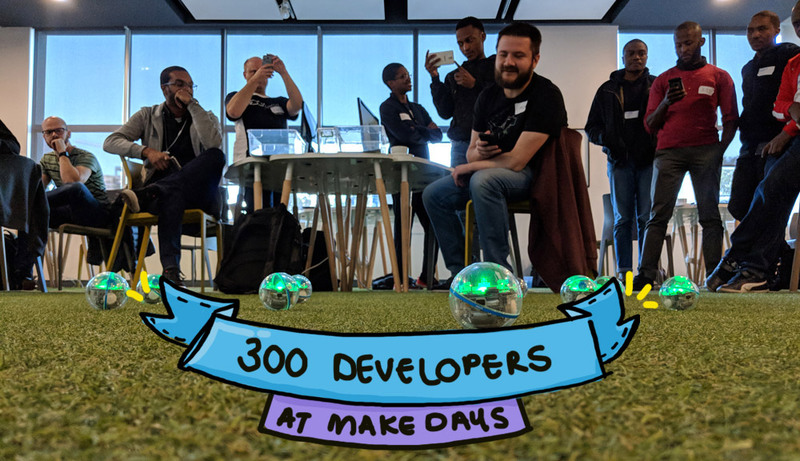 Everything we learnt about learning is encapsulated in Make Days, where we bring a group of developers together to build cool projects using new tech. Through this low-pressure collaborative experience, developers learn useful new technologies at a highly accelerated rate. Over 300 developers, from more than 100 companies, have already attended Make Days. Those developers have all contributed massively to every part of Make (thanks for helping, everyone! ), from course design to building layout. Make has been, and will continue to be, a huge community effort. Sponsoring 100 Make Day tickets every month through Root. You can apply for those tickets here. Selling Make tickets to companies. You can register your company here. 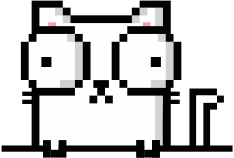 Funding community tickets, to make sure developers who couldn’t otherwise afford to attend Make don’t lose out. We’ll announce more about this soon. We want to get to a point where we can help anyone who wants to become excellent at building awesome software, irrespective of their background or the opportunities they have. While doing the above, get more people building awesome software and unlock a bunch of human potential.